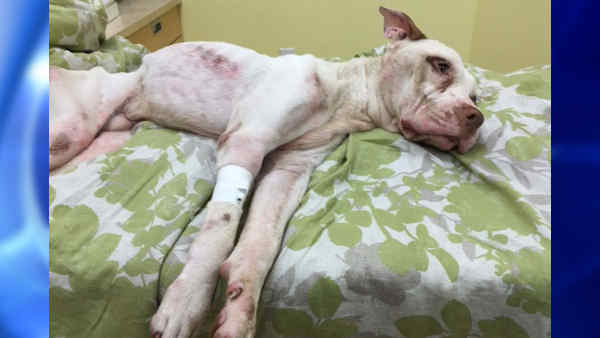 EAST FLATBUSH, N.Y. (WABC) -- Police are looking for the person or persons who abandoned an abused dog in Brooklyn last week, and a reward is being offered for information leading to an arrest. Authorities say the animal was located in a parking lot on East 93rd Street in East Flatbush around 7 p.m. on November 5. The pooch was found to be malnourished and dehydrated. The NYPD is asking for the public's help in identifying suspects, and a reward of up to $2,500 is offered upon an arrest and indictment.